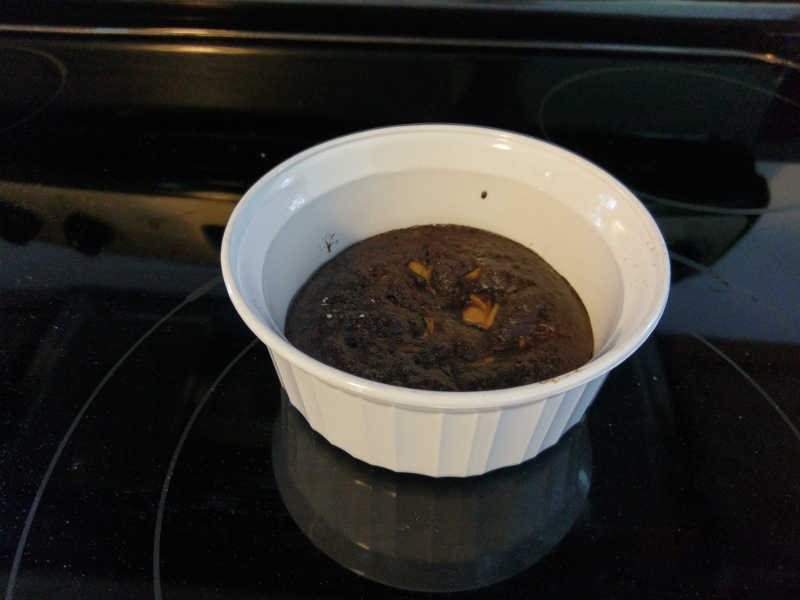 These low fat high protein fudgy protein brownies take just minutes to make. Preheat oven to 350 degrees F. Mix all ingredients except PB2 and water until well blended. Pour into 2 Pam-sprayed ramekins. In separate bowl, mix PB2 with just enough water to make a paste. Drop it by spoonfuls or swirl it into each ramekin. Bake 8 – 10 minutes or until batter has cooked enough to become fudgy. Do not overbake.